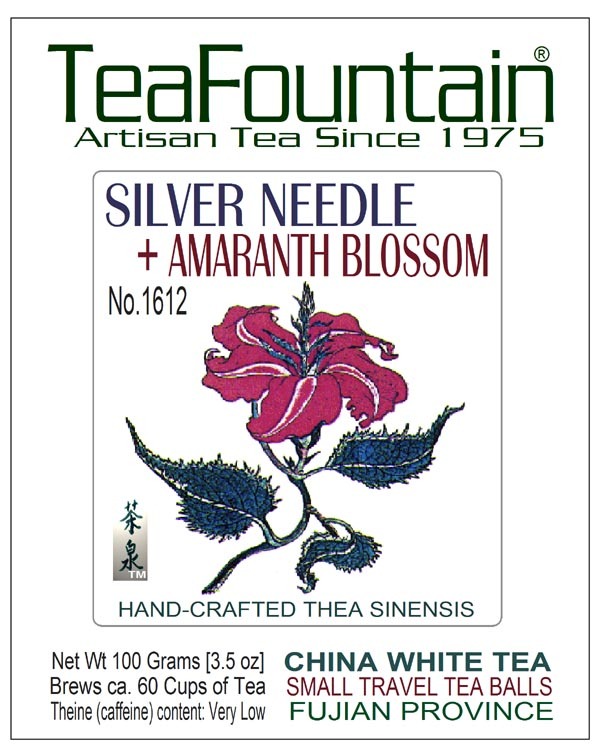 Special Grade Custom Silver Needle & Red Globe Amaranth Flower | Antioxidant-Rich | A ‘Pearl of a White Tea’ from the Tai Mu hills/Fujian Province in Southern China. 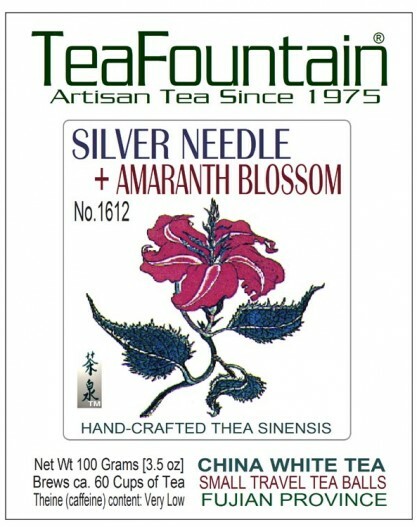 The tippy ‘Silver Needles’ of this RARE tea are picked only a few days a year. The gentle ‘steaming and drying’ process in the open air allows the White Tea to create its sweet and fresh aroma and soft taste. The Silver Needles are tied together in the shape of a button and hold a red Amaranth flower in the center. During the infusion the button will open and expose the red flower. 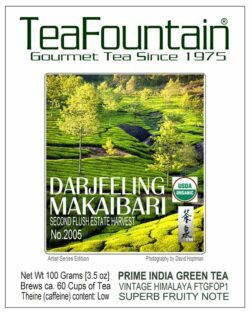 This ‘Entertainment Tea’ is prized for its special flavor. The infusion is clear and pale. Serve as a healthy, cleansing and refreshing all-day travel tea or as an ‘Entertainment Tea’ at dinner parties. To view details about other ‘Flower Button Teas’ on our site please click here. Suggested Water Temperature: 175 F – Suggested Infusion Time: 7 Minutes – One serving makes several infusions. 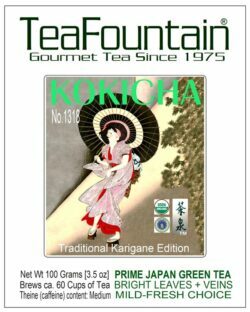 Culinary notes: Because of its fresh and lighter green tea character this White Tea is offered as a choice with light foods, vegetarian, macrobiotic or vegetable recipes and special desserts including fruits and lighter French cheese selections. General Info: Leaves for green and black Teas are grown and harvested in 14 provinces of Central and Southern China. The Tea Estates are located in the mountain regions. Climate and elevation produce a wide variety of blends and flavors of the Thea sinensis that are lower in tannic acid than the Thea assamica species that is cultivated in India, Sri Lanka and Indonesia. The best known names are China Keemun, Szechwan, Yunnan, Fujian, Jasmine and Rose Tea. The best tea crop quality derives from leaves that are picked during the spring harvest and mostly air-dried. Preparation: Bring fresh water to the boil. Let it cool down for 2 minutes. Warm up your tea pot by rinsing it with hot water. Place two balls per 8 oz cup of this White Tea into the preheated tea pot or preferred cup. Pour the hot water into the tea. Let infuse up to 7 Minutes and serve. Remove infuser or pour your tea into another tea-pot or thermos carafe. Most customers like to prepare another infusion with the same tea.